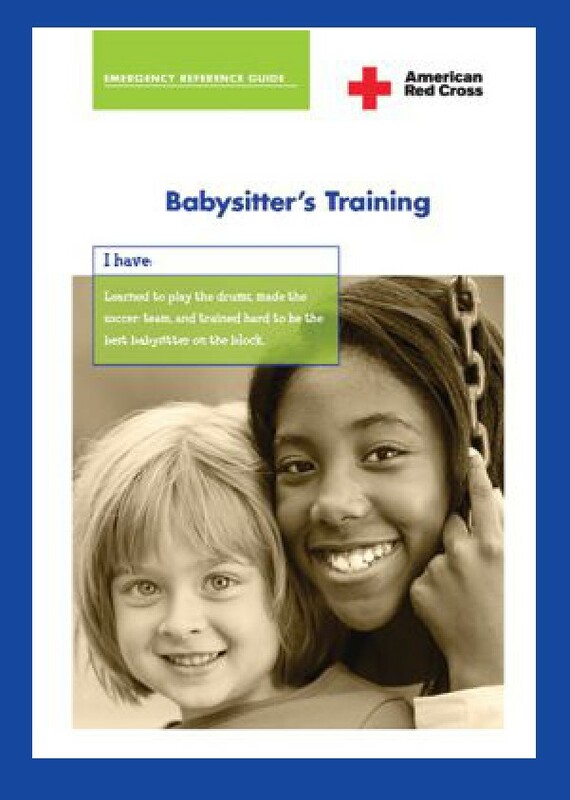 Designed for young people ages 11 to 15, the American Red Cross Babysitter's Training course prepares you to become a great babysitter and shows parents that you take this responsibility seriously. You'll gain practical skills and confidence through video presentations, hands-on activities and classroom discussion. You can also sign up for Babysitter's Training with Pediatric First Aid/CPR and earn first aid and CPR certifications too. Course length: 6 1/2 - 9 1/2 hours depending on course options taught. Candidates needing recertification can inquire about scheduling a time with the instructors. 1. Respond to emergencies with first aid, rescue breathing and more. 2. Make good decisions under pressure. 3. Communicate effectively with parents. 4. Recognize safety and hygiene issues. 5. Be able to manage young children. 6. Feed, diaper and care for infants. 7. Start your babysitting business. 8. Get better babysitting jobs because you are trained and certified. 1. There are no prerequisites for this course. 2. Designed for youth ages 11 to 15. Some items on this site may require Adobe Reader to view - click here to download free.